During the 1920s the French Riviera became particularly visited by the likes of fashion couturiers such as Coco Chanel and Elsa Schiaparelli, today the people who walk the streets are people like Amber Heard, Johnny Depp and all that can walk the walk of the local area. So it is found that shopping is an essential part of the Riviera lifestyle that is actually quite chic and unique. With shops like Gucci and Dior there is plenty of sparkle found on the local streets. Most of the film stars hit La Croisette during the springtime of Cannes, which is the main shopping street found facing the sea of this small but glamorous town. This is a prosperous area in a small fishing town, which comes alive in front of the cameras. In Saint Tropez itself you may find a glistening shop or two found packed in charming streets that stretch around the corner to places like Place de la Garonne, the Place des Lices and Rue Gambetta, where all that can be found will be found. Saint Tropez has an impressive list of designer boutiques, such as Louis Vuitton, a beautiful Chanel store, Dior, Pucci, Roberto Cavalli, Lanvin, Dolce & Gabbana, Missoni. 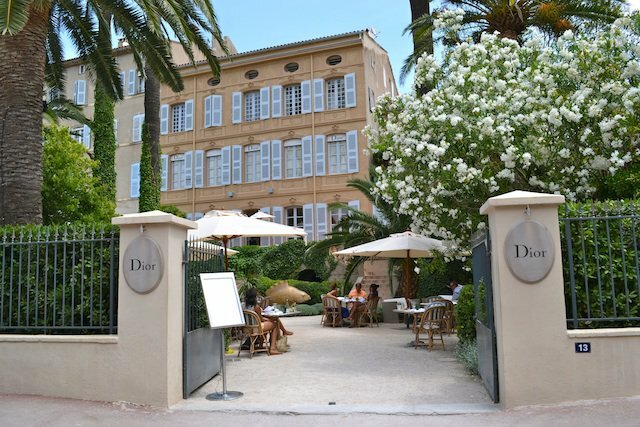 Dior has arguably one of the most beautiful settings in Saint Tropez, on the Rue Francois Sibilli, a wonderful restored mansion with a charming restaurant. The food here is great, with a nice selection of salads and deserts! If you tire of here, then you will find there is a water taxi, which will connect you to Port Grimaud, another flavoursome shopping retreat during the summer time. Then if you would like a bit of perfume to sprinkle on during your holiday season if rent a luxury chateau France then visit the town of Grasse, which is reportedly the world’s perfume capital and there you can go in and see how they are made or buy a little sample to take you on your way. Lastly, for a last bit of luxury, Monaco is the place that you should be. The main shopping areas include those of the Metropole shopping centre, the Boulevard des Moulins, the Place du Casino, where you may find a little luxury to suit you during your cruising of the Riviera. The newly built Sporting d’Hiver, in the heart of the Casino Square offers an impressive architectural delight of bubble like buildings, home to the top designers, including Alexander McQueen.